This dual effort by The Zambonis and Vista Blue may be the most unusual and original EP I’ve reviewed in quite some time – thematically, anyway. 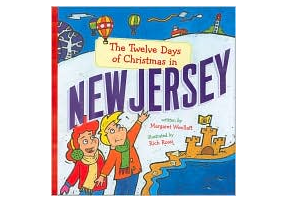 Since the subject matter is all about the most overlooked Olympic sport of all time – curling – this one could have easily been a dud. But, it rises to the occasion and delivers, much to my amazement and surprise. It’s Olympic curling music for the masses. 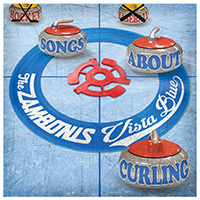 Funded by a Kickstarter campaign, Olympic Curling Split is a split EP featuring two songs from The Zambonis (“Sweep Me Over the Hogline” & “Curling Girl”) and two from the band Vista Blue (“Curling Around the USA” & “Girl Who Can Curl”). All four songs have a fun vibe about them but it’s the opening track from each that catches my ear. The Zambonis’ “Sweep Me Over the Hogline” has a nice alt country vibe to it. By contrast, Vista Blue hits just the right notes on the Beach Boys infused “Curling Around the USA”. This track is an absolute blast – a must. While curling music isn’t the broadest genre around, I can safely way that this is the best curling EP I’ve ever heard. If you’re into sports songs, Olympic themed music or just want to hear power pop without pretense, this may be for you.